When it comes to spring patterns, camo isn't usually at the top of the list. You will see a lot of florals, gingham, and maybe some stripes, along with pastels and other bright colors. But for me, I like to incorporate fall patterns (such as camo and leopard print) into my wardrobe year round. I am always trying to find different ways to style items in my closet, in ways that you may not see very often (ie. wearing camo in spring). 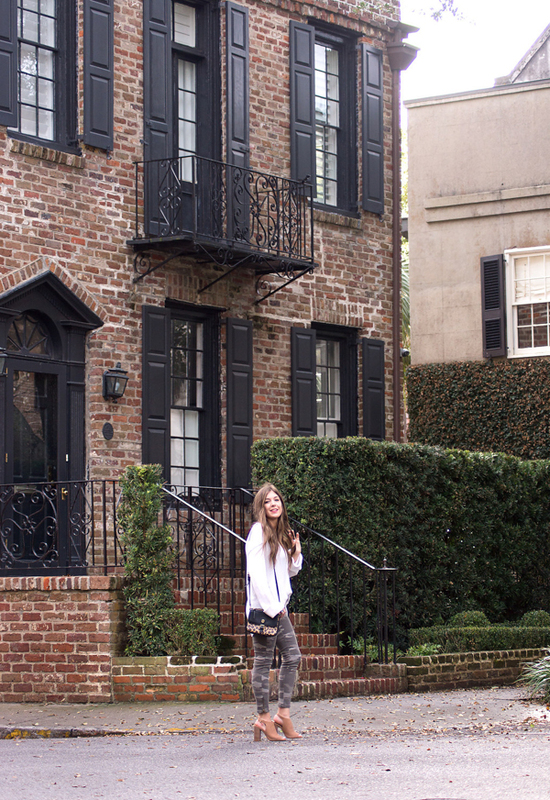 For example, here is another way that I styled these pants last winter. It is unrealistic for me, and probably most of you, to think you can continually buy clothing and not have to restyle items that you have styled before. By restyling items like I did with these pants, you will save a ton of money, and discover new outfits in your closet in the meantime! Love me some camo and leopard! Such a great outfit for spring! I always love trying to restyle items of mine and I find that they usually turn out to be some of my favorite outfits. LOVE this camo on you!! Love the shoes you paired those pants with as well! I love the camo look on you! I love the shoes and top you paired it with. They all compliment each other perfectly. I am loving camo recently! 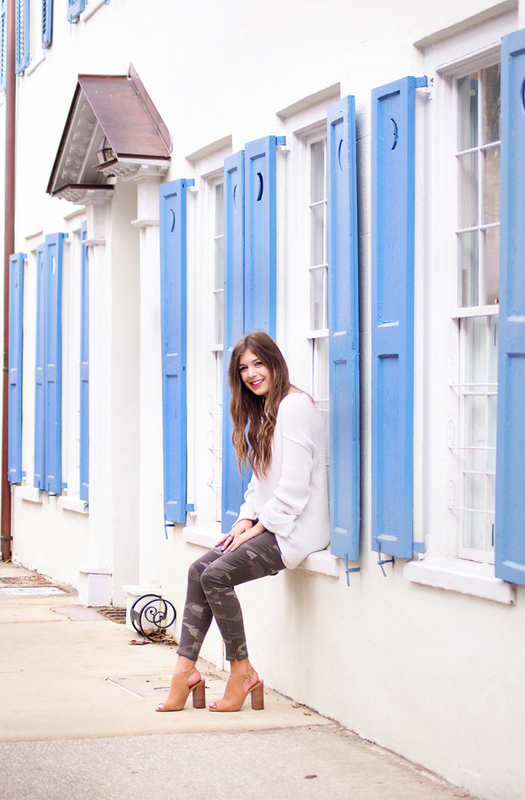 So fun to see how you style it for spring. Love this outfit! 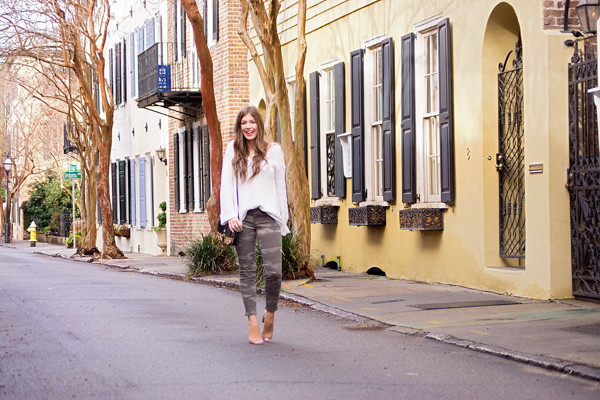 The camo pants are so fun, especially for spring. Ordering these now! These camo leggings are so fun, I love the zipper detail. Yassss to the pants with that slouchy sweater- love that combo! 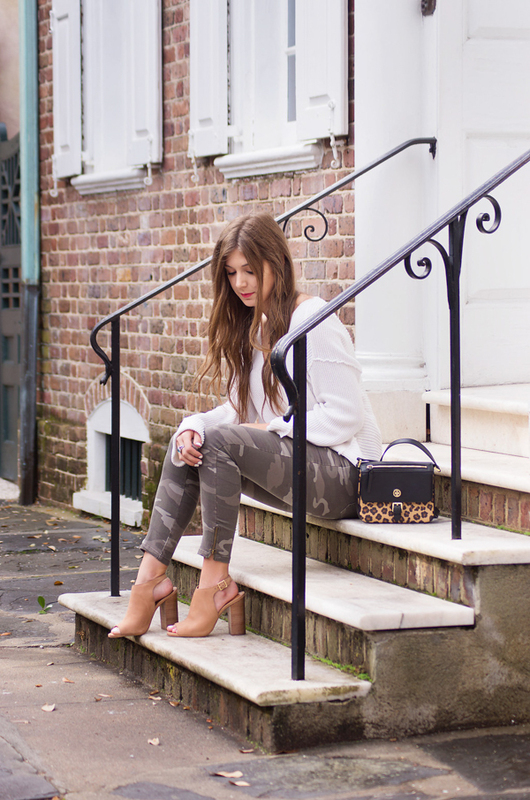 I’m loving camo for spring! I need these skinny jeans in my life immediately! Loving the camo look girl! Such a cute spring look! Love how you styled them! Look so cute with that top. Love this entire look on you! I love this look! I own a pair of camo pants that I always dress with dark colors. I'm definitely going to have to ry and add browns and whites next time. I have such a hard time styling camo, but you did it so well! I love these pants!! You did so well styling this camo look! Love it!